When you are Looking at Childcare, you are looking to find a place that you can feel a peace of mind in knowing your children are being provided for while you are away. There are a few things that you can look for while touring a childcare establishment to ensure that you are getting an establishment that puts your child’s safety first. One of the first things you can look up about a place if your local government licenses them. You can find out that they are authorized as well as if there have been any violations such as child safety or if the establishment had been closed for any period recently. You will also want to ensure that at least one staff member is CPR and first aid certified. Preferably all or most of the staff members would be certified and able to administer help to your child if they should need it. Changing stations should be away from play areas, and eating areas and they should have all the proper straps to ensure that baby’s safety. When a parent first has a child, they go through their house and systematically ensure that it is a safe environment for their kid. This is called childproofing your home. A childcare establishment should also be childproofed. There should be socket protectors, no sharp corners, window blind strings should be out of reach of children, stairs are blocked by stair gates, and toys are clean and have no choking hazards. You also want to ensure that their hygiene is taken into consideration. Changing stations should be away from play areas, and eating areas and they should have all the proper straps to ensure that baby’s safety. 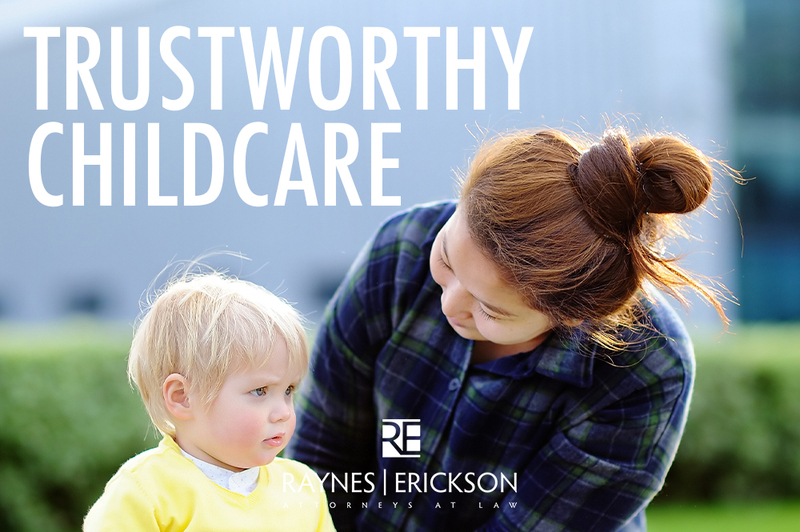 One of the best ways to know that you are can trust your childcare provider is to ensure that they have all of their policies in writing. The benefits are two-fold. One, you can know that they have thoroughly thought through every scenario that could arise. This shows that you have diligent workers and people who will prioritize your child’s safety. Secondly, you will know all of the ins and out of the establishment. How are the rules enforced? What are the emergency plans? What are the policies if anything should go wrong? These written statements can help you make a decision and help you if you find that things are not hitting the standard of their own written procedures.If you feel like your child has been harmed due to negligence on behalf of a childcare provider, please feel free to call us. We can help you and let you know if you have a legal matter on your hands.